8-year old boy, Shimpei, who loves fishing and painting, lives with his beautiful mother, surrounded by nature. His mother, Satsuki, has a weak constitution and lost her husband years ago. She takes care of her son lovingly but sometimes strictly, on her own. Shimpei's childhood sweetheart, Sayuri, is deaf, but somehow they can understand each other and they always spend time together. One day, big news comes to their town: Shimpei's picture received the Grand Prize in a Children's Pictures Exhibition in Paris. On the night that Sayuri's father, Takakura, holds a celebration party for Shimpei, Satsuki leaves her son in Takakura's care and goes out of the house. Feeling uneasy, Shimpei goes to look for her but finds his mother dead, lying calmly and peacefully in the beautiful, white snow...Fast forward to the future, Shimpei has been offered a fake job in Tokyo. 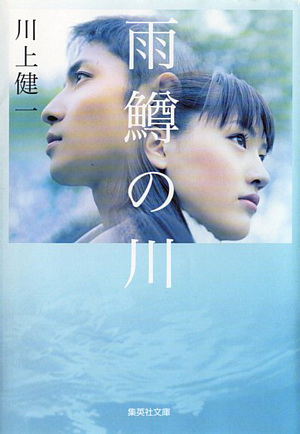 Sayuri's father arranged everything so that Shimpei would not interfere with Sayuri's marriage.